Manila Water pilots ‘Luntiang Lingap sa Barangay’ program | Manila Water Company, Inc. Piloted in Barangay Ermitaño, San Juan City, the program also integrates and complements a barangay’s waste segregation and recycling program as the community members collect and prepare large containers to be recycled as vegetable pots. 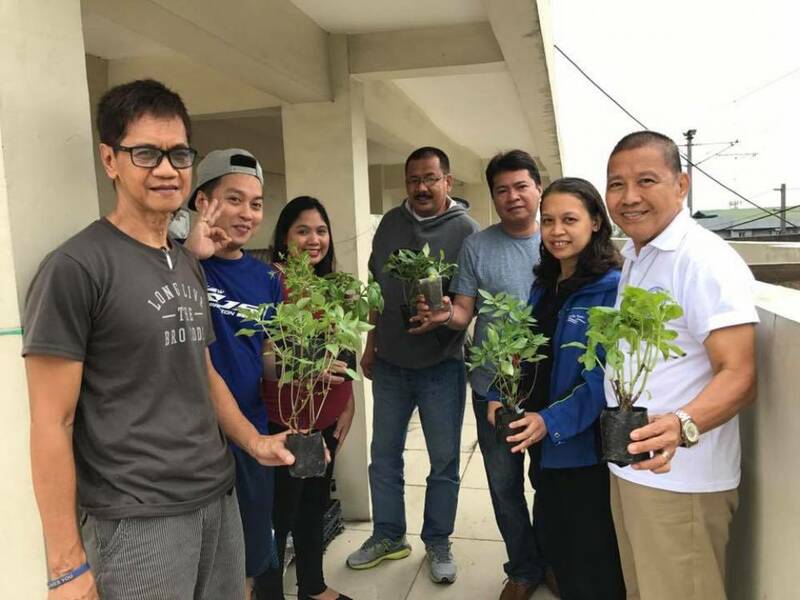 Community officials led by Barangay Captain Jun Mojica Jr. and Councilman Romeo Nabong lent full support to the initiative with Manila Water providing seeds, potted herbs, vegetable cutlets and vermicast or organic soil fertilizers for the community. Before the program was launched, employees of Manila Water's Sustainability Department attended a seminar on urban gardening and plant propagation organized by the Bureau of Plant Industry (BPI) of the Department of Agriculture (DA). Manila Water’s “Luntiang Lingap sa Barangay” is one of the many measures being promoted by BPI to mitigate and adapt to the effects of climate change. Urban gardening also reduces carbon footprint because food can be sourced directly from the backyard and need not be transported from far-off provinces. To ensure the program’s success, Manila Water will monitor the growth of the donated herbs and potted plants and will encourage more households to grow their own herb and vegetable gardens.